Nancy Villasenor began her career in real estate in the year 2000, gaining fundamental knowledge working in escrow and assisting premiere brokers. She quickly discovered her love for real estate and obtained her salesperson license in 2004. Since then she has continuously ranked with the “best of the best,” receiving numerous sales awards year after year. Never satisfied with being “just average,” she strives on upgrading her skills, performance and certifications, thus becoming a licensed broker associate in 2012. Nancy prides herself on dedication to personal contact; always in communication, refusing to let assistants respond in her place. Her personal mission is to always exceed her client’s expectations, making her “better, faster, and stronger” placing her far ahead of the competition. 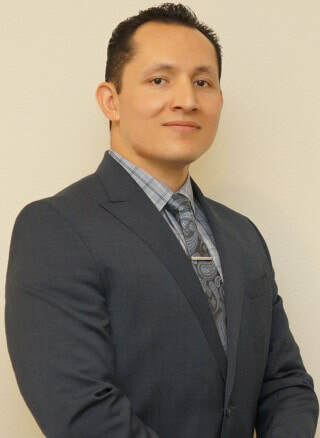 Sal Villasenor functions as operations manager for Nancy Villasenor & Associates. Also a real estate agent, he balances his duties between management and agent with ease. Knowledgeable in a variety of real estate and technology fields makes him an integral and essential part of the team. His dedication to detail helps Nancy Villasenor & Associates function at its best. Working along with wife Nancy Villasenor over the years made becoming a licensed agent seamless. Together, making a perfect team of complimentary skills and attributes is an understatement. They truly enjoy working to provide their award winning service to all clients and colleagues. Nancy Villasenor & Associates has helped hundreds of clients buy or sell their properties throughout Ventura and Los Angeles Counties for over 15 years. We attribute this continued increasing success to the team's high ethical standards, attention to detail and referrals. Our clients are as diverse as the properties we represent. Whether it's a first time buyer looking for a town home, or a celebrity in search of a million dollar luxury hideaway, every client is treated equally with the best service possible. For buyers or sellers, Nancy Villasenor & Associates is the right choice. Contact us today for all your real estate needs.